One of the most challenging and stressful times in your life is menopause transition. During this period, some significant changes start taking place in your body. They occur as it starts producing less estrogen and progesterone as your ovaries stop producing eggs, causing menstruation to slow down until it finally stops completely. These changes can cause a lot of women to go through some truly trying symptoms which include hot flashes and night sweats, sudden mood swings and memory issues. Significantly reduced estrogen can also cause some serious health issues, including cardiovascular disease. One of the options Monarch Healthcare can offers you to better manage your symptoms, is menopausal hormone therapy. This procedure has proven to be effective in significantly alleviating moderate and severe symptoms of menopause in many cases. The advantage of this approach is that every treatment is personalized and adjusted specifically to your situation. After each treatment, we set up an evaluation determine the effectiveness of the treatment and any need for adjustment. Menopausal hormone therapy can be given through oral, vaginal, or transdermal methods. Through this we can help to reduce your hot flashes and night sweats, reduced vaginal symptoms such as discomfort and dryness, as well as improvements with any mood swings. In addition, hormonal therapy has shown to slow down the bone loss that can be caused by a drop in estrogen. 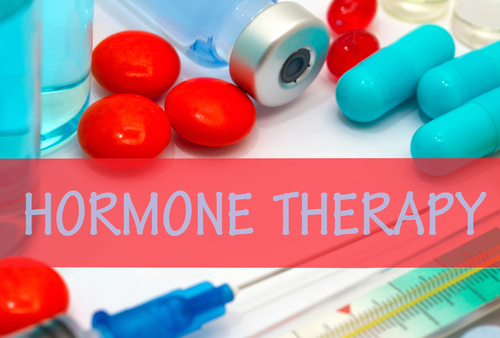 Despite all the positives, menopausal hormone therapy has some serious side effects. Before you make the final decision, our specialists will go over all the potential benefits and risks, so that you can make the choice that is best for you.